Welcome! Member? Please sign-in to your account to see the most updated KONL Information. Not a Member? Why not sign up and be a part of a great organization. The Kentucky Organization of Nurse Leaders (KONL) is a non-profit organization and chapter of the American Organization of Nurse Executives (AONE). 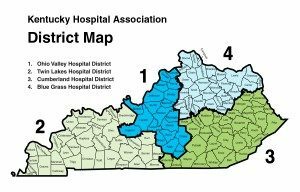 It is also an allied society of the Kentucky Hospital Association (KHA). The purpose of the organization is to advance the development of effective administrative leadership in nursing services, in sites where healthcare is delivered. The organization operates for charitable, scientific and educational purposes. KONL provides educational programs for nurse leaders throughout the state, funds scholarships for members, shares scientific works between members and provides forums for discussion and networking through district and state level meetings. KONL is divided into four districts: Bluegrass, Cumberland, Ohio Valley and Twin Lakes. Districts are equally represented in statewide decisions, and forums are provided, at both the district and state level, for members to become involved and share their views. Membership is open to all registered nurses serving as a nursing leadership professional along with KONL members who have retired from a nursing leadership position. Associate membership is available for aspiring nurse leaders and those in relevant degree programs with a career path in nursing administration. To Join as a KONL member or renew membership just click on “Become a Member/Renew Member” . Select your membership area and create an account. Fill out the application form online and pay via credit card or check. The service is provided by PayPal, but you can pay with any credit card or use a PayPal account if you have one. If you choose to pay by check, you account will become active when we receive the check.